Get ’em before they’re gone. 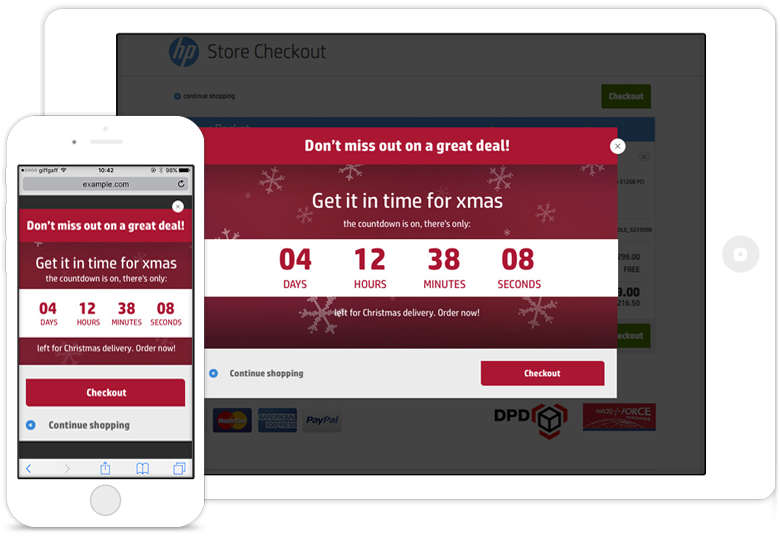 With countdown timers you can highlight how long is left until the end of a sale or the deadline for a delivery day. You’ll provide a helpful dose of urgency to your visitors and help persuade more to get it before it’s too late. When a visitor first lands on the page or has become inactive for a period. When a visitor takes the cursor outside the window to close the browser. When the visitor has clicked on a certain button or link within the page. Notification	Subtle prompts that don't interrupt the visitor. Side Panel	Display a full panel on one side of the screen. Header / Footer	Banners stick to the top or bottom of screen. Overlay	The traditional front and center overlay. Takeover	Make an impact with a full screen takeover. 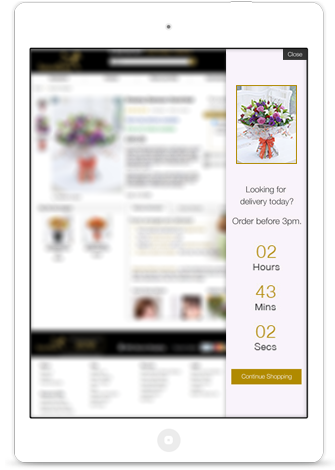 Messages are displayed in a way that increases urgency without interrupting the visitor. Allow the visitor to continue to interact with the site. Stick to a location of the screen. Integrate messages into different areas of the page. Taking over one side of the screen is a sure way to get your message seen. Use the full panel or more subtle inserts. Left or right side can be used. A header or footer banner is a non-intrusive way of displaying live trends. Prominent and constant presence of message. Sticks to the frame to be visible on scroll. Grab their attention with the classic front and center overlay. Perfect to capture attention on exit intent. Page is still viewable underneath. Multiple CTAs can be used in one overlay. Make an impact with a full-screen takeover message. Trigger when exit intent is shown. Visitor must interact with the message. 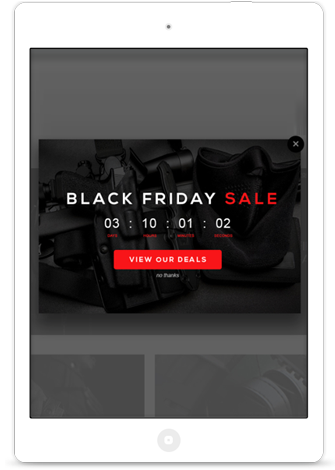 Creating a sense of urgency can be a powerful on-site conversion strategy. 3 tips to add urgency to the customer journey. How an understanding of psychology can help to drive sales. 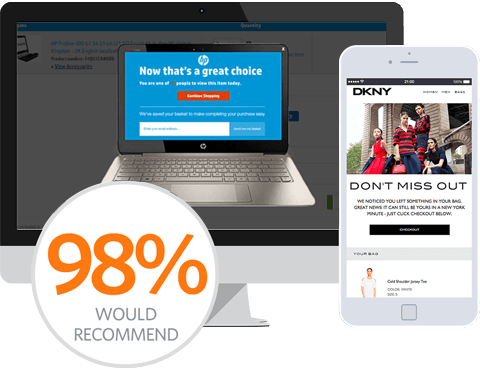 Feast your eyes on some the best on-site remarketing examples from around the globe. Boost conversions with expert tips and advice on conversion rate optimization. 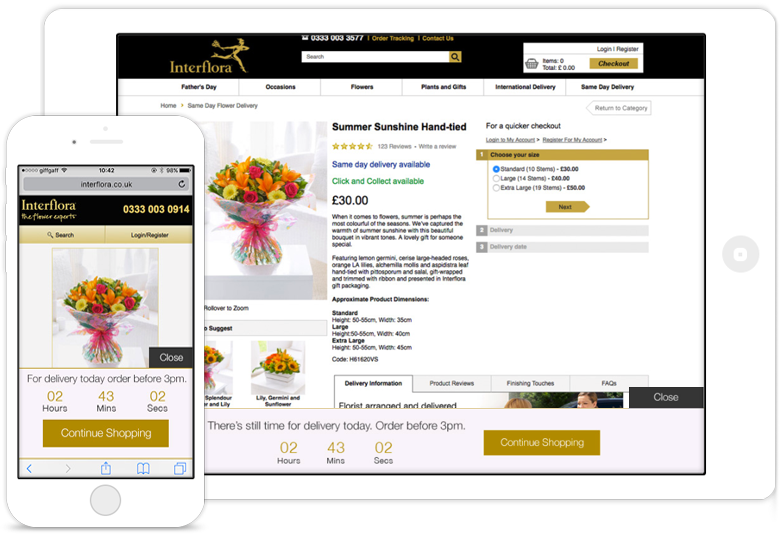 See how you can engage customers on-site in this Little Block Book of On-Site Remarketing. 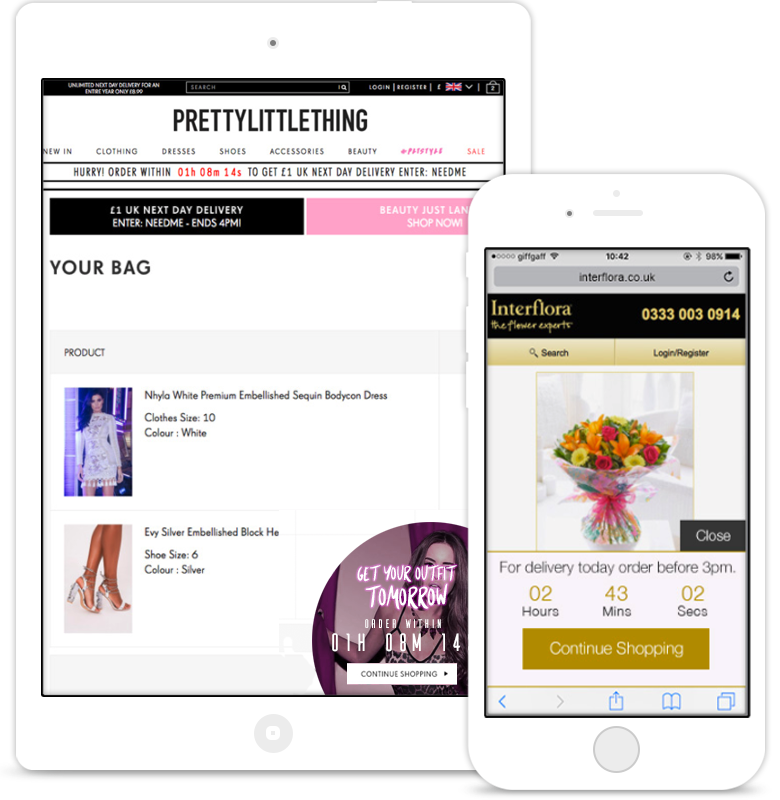 See how our conversion features can help to persuade visitors who are about to leave that staying is better! 01 Will visitors see more than one message? This is up to you. 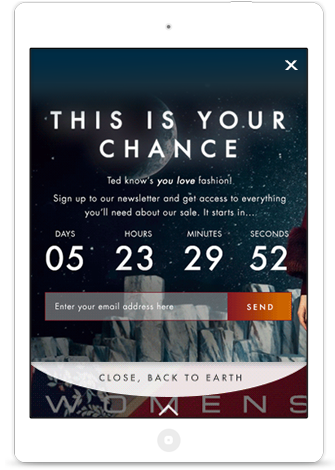 Your campaign can be set up with rules that only allow one message to be displayed within certain time periods or online sessions. Or you could show different types of messages at different stages to help guide the visitor through their journey online. 02 Do these work on mobiles too? They certainly do! 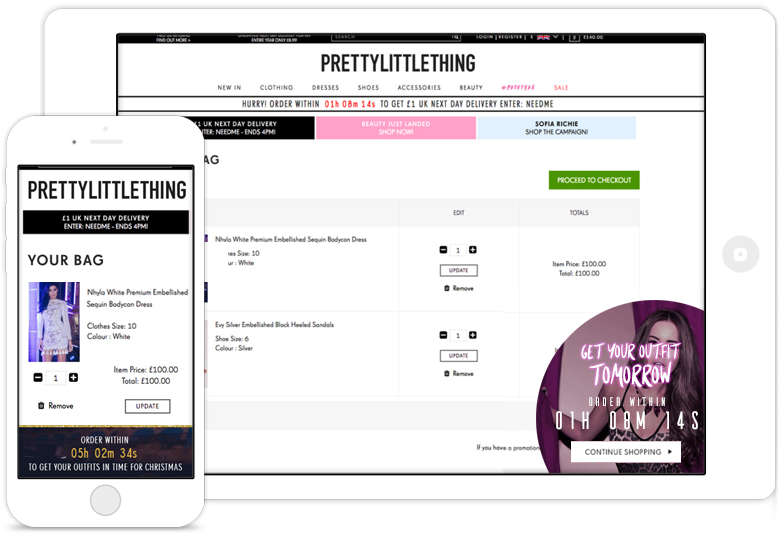 SaleCycle treats each device type differently and designs accordingly. 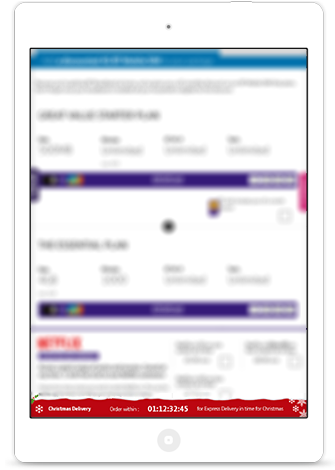 Depending on the device your visitors are on, we can show different messages too. 03 Will our visitors mind? … It’s our favourite question to answer. Its all about influencing, not interrupting the customer journey. The relevancy and customer service approach to the messages that we recommend ensure the visitors respond really positively.